Kevin’s Conversations: When Should We Cry “Wolf”? Last week on this blog Rick Warren came up in discussion again. It happened due to Michael writing an article about some recent deluded ramblings by Roger Oakland wherein Oakland regurgitates some old material involving Michael and Warren, amongst other players. Much of Oakland’s denunciation was the same old tired attack against Warren based on conspiracy theories, guilt by association, strained circumstantial evidence, and charges on matters that aren’t primary or even secondary in importance. All of which supposedly pointed oh so obviously to Warren’s apostasy. And worst of all, how Calvary Chapel was allowing Warren and his apostasy into their club. When challenged, those who were bringing accusations against Warren could not give even a single example where Warren actually taught or practiced something that was contrary to orthodox Christianity. All they did was keep adding on dubious and superfluous allegations while claiming definitive indictment. Correspondingly, they were also condemning to hell many other believers who weren’t just like them or fit their exactly specified criteria. The folly of their arguments was presumably apparent to most. Those of us who choose to defend Warren against these attacks did not do so because we think Warren is the greatest thing since sliced bread. Many, if not all of us, probably have difficulties to some extent with things Warren says and does. However, the manner in which Warren and others were being assailed was unrighteous and so we spoke up. We can expect attacks from unbelievers because of our faith. It is sad when we experience senseless or immoral attacks from our own. Sometimes we fall woefully short of achieving any semblance of the unity that God, in His Word, ascribes believers to attain. Now the silliness of some of these attacks against Rick Warren and even others is hopefully pretty identifiable for most and is usually contained to a relatively small group who is executing the attacks. However, if I were to criticize Rick Warren for elements within his Purpose Driven materials, or for his church growth techniques, or for his Daniel diet plan, can I be just as guilty? Guilty of unrighteous attacks? Where is my heart when I speak? What are my motives? What am I trying to accomplish? While there may be truth to my statements, is part of my intent to put a man down? To get in a dig when I have the opportunity? To put down a group of Christians? To broad brush guilt on a whole faction of brethren? To make myself or my group look superior? Even if my concerns are legitimate, is it the proper time and place to speak? Might it be unnecessary to raise my concerns at that moment or in that circumstance because they may actually cause more harm than good? Discernment is needed in these matters. Sometimes we don’t do a very good job in deciding when and how to speak. Sometimes our zealousness to speak the truth and right all wrongs can cause more pain than healing. Sometimes our motives aren’t even in the right place when we do so. Now, all of this is not to say that we shouldn’t speak what we believe to be true. That it is wrong to debate. That we should always be dancing on eggshells and should go to all possible extents to avoid offending someone. But when we want to call out the wrong, let’s check our motives. Let’s discern the appropriateness of what we’re going to say and when we’re going to say it. If we don’t check on these things, we’re at risk at being just as unrighteous as those who want to condemn Rick Warren to hell for being nice to the Pope. When I came to my present church about 7 years ago, the name Rick Warren was akin to Anton Lavey for a large group of the congregation. This due to a steady diet of ODM websites, books and seminars. Now I don’t subscribe to many aspects of how RW approaches church, but all the conspiracy theories are ridiculous. Let’s remember the outrage expressed by a large number of Piper disciples against Warren, leading even to Piper publicly filming and interviewing Warren with some Soteriology 101 questions after a prior phone interview, which I thought Warren showed a lot of humility in sitting through and answering. It’s not just something that those “crazy” ODMs practice. Guilt by association is not just on the fringe. You’re right that guilt by association with Warren and others is not contained just to the fringe, although the fringe like to major in it. Maybe I’m being optimistic when I say a relatively small group employs these types of tactics. But I like to believe that most Christians don’t. Wish I could agree with this, but the biblical example doesn’t support the Ideal expressed. Read the Prophets, read Jesus, read Paul the Apostle. Truth is, it’s a mixed bag. The bible presents an Ideal, but then examples the opposite many times. The Prophets were downright vicious in their criticism. Jesus literally cussed out the Pharisees and literally beat the Money-changers, assaulted them! Paul the Apostle yelled at the Judaizers and told them to cut their own testicles off. So many examples that are the opposite of the Ideal you express….even by Jesus himself. Truth is, folks will say what they say, do what they do…and it is part of God’s Providence and Plan and is intended to happen b/c that is the Design. John Piper was the best thing that happened to Rick. It was an opportunity to speak directly to his critics and clear up the garbage the fringe had created. When we talk about reforming the modern church, to a large degree, we are talking about fixing the damage caused by Warren and his followers. Out of respect for Michael, because I love him and I truly believe he cares about me after feeling and sensing his spirit and finally getting to understand the real man behind the blog….I will leave the discussion and keep it that concise and not hammer my point home. Love you Michael. You are truly a good Pastor and Man. A GIANT among us midgets. Keep being who God designed you to be. You are a breath of fresh air. Someone who truly cares of the little guys, the downtrodden, the chewed up and spit out…and somehow you were able to survive me and still love me, which is proof that you practice what you preach. The ideal I expressed is that we should check our motives and discern the circumstance before we speak. I didn’t say anything like criticism should never be harsh. Blessings on you, Alex…soldier on. Rick’s interview with John Piper was one of biggest eye-rolling moments. Define for us what you lay at Warrens fault. Nothing to do with Rome. Everything to do with a doctrine-less, conviction-less church, designed to entertain the soccer moms. There can be plenty of criticism fairly laid at Warren’s feet. You could onto some of it. This article was not a defense of Warren. Only of unrighteous attacks, of which Warren is a prime target and an easy example. You could “be” onto some of it. Apparently having trouble with my typing today. I’ll lay my point out again. Everything that Warren pioneered is what we hate about Modern churches. Yet he’s the one guy (this article included) we run to defend like no other when we feel he’s been wronged. It would seem there could be better targets for our support. From what I’ve seen of Warren, including reading his most famous book, he takes secular ideas and formulas, whether a diet or career advice or relationship advice, and he fashions them into Christianity. All of these things he teaches are good in themselves, and probably any religion or no religion could teach them without all the proof texts set forth in multiple translations. But, none of those “very good ideas” are why Jesus was incarnate. I think what he has done is he’s hitched a ride, so to speak, on the tradition of Christianity, to sell a secular product(s). Again, these products are not bad ideas; but they are secular ideas on which he has glued a veneer of religion. But the sad thing is that all the people in his church are not getting fed the Bread of Life in the mean time. Exactly, and because of his success, 100’s of younger pastors have followed his footsteps. I wouldn’t go as far as saying that “everything” Warren has pioneered is what we hate about modern churches. I’m sure if we sat down with a list of all the major things Warren has done, we would all find some things on the list that we thought were good. But yes, Warren is a major player, if not the biggest player in the modern church / seeker sensitive / mega church movement and we could blame a lot of the things we don’t like about it on his influence. With that said, we run to defend Warren the most because he is seemingly the victim of the most frequent unrighteous attacks. If John Piper or Billy Graham or Skip Heitzig (I add that one for Michael’s edification) were the victim of an inordinate amount of these types of attacks, we would be spending our time defending them, too. Plus, like I said on the thread last week, the fact that Calvary Chapel often gets wrapped up in the Warren attacks, it only makes in natural for that discussion to spill onto this blog. More so than other pastors who have no association with Calvary Chapel. I don’t see Warren as the cause, but the symptom. What I hate about modern evangelicalism is the lack of accountability…doesn’t apply to Warren. I hate pastors who are in it for the money…Warren tithes 92% of his income. I hate big churches that don’t give back…Warren’s work on mental health issues alone covers a multitude of sins. I don’t like the shallow theology…but it’s no worse than getting a prophecy update every week. A better example would be Eugene Peterson. He has written some magnificent books. He also wrote “The Message”. I’m not throwing out his books because I don’t appreciate that one. I have no problem with critiques of Warrens methodology. I have huge problems with claiming he’s a Jesuit sympathizer here to take the church back to Rome…and establish the New World Order in his spare time. Sure it does. Warren created an impenetrable fortress. Guys like Noble and Furtick learned it directly from him. Turns out, Rick is a pretty nice guy. So far it hasn’t been an issue. Warren’s is worth around $25 million. He can float the stories about how much he gives, but he’s one of the wealthiest pastors in the history of the world. “I hate big churches that don’t give back…Warren’s work on mental health issues alone covers a multitude of sins.” I’m ok with that. True. Two turds. Which smells better? I think a lot of the things we dislike about modern Christianity can be laid at the feet of Chuck Smith. I believe he is the one who popularized rock music (and all rush for relevance that followed afterwards) in church services. Without Chuck Smith there would have been no Rick Warren. Only the most strictly traditionalist churches (Orthodoxy is the only one that comes to mind) have escaped the taint of what Chuck set into motion. Not going to comment on Warren as I don’t know enough. Just wanted to say I appreciate your balance in the pieces you write, and the point of checking our motives is very well taken. It’s something I personally have to work on. “and establish the New World Order in his spare time.”..
Michael, thanks for my morning chuckle! Chuck was just following the lead of the person most responsible for some of these things. Aimee produced the best show in Hollywood week after week…to understand today we have to understand Aimee. If I disappear it’s because of computer issues, not offense…just what I didn’t need. Sister Aimee was a fascinating character. Aimee might be the single most important figure in modern evangelicalism, along with Billy Graham. I highly recommend the study of her life. I’ve read a few books about Aimee. Not a fan. Not a fan either, but extremely interesting. When we decide we dislike a public figure, the mature thing is to acknowledge that the person has some good points and that their motives might be good and that their followers may have good intentions. On our Meals on Wheels route yesterday, I was entangled in a discussion by one person who tried to convince me that as a Christian, I *had* to vote for her candidate. I tried to explain why that was not possible. She didn’t hear a word I said, just launched on a tirade about the other candidate and their godless followers. I managed to get away…. …. only to find myself at the next house in a similar- almost identical- conversation from people championing the other candidate. Same type of conspiracy theories, same opinion that a true Christian *must* vote for their candidate, etc. Neither side would grant that the people on the other side had good intentions and were following their consciences and that everyone has the best interests for American at heart. I see this with the ODM people. They cannot imagine that the people they complain about have good intentions and are trying to follow God in any way whatsoever. They are evil and that’s all that can be said. I am pretty sick of this way of talking about people. I wish I would have said that…well done. Agreed. Xenia makes a very valid point. #33- Aimee Semple – was she an evangelical? are pentecostal and evangelical interchangeable titles? I worked with a wonderful woman who basically grew up in Angeles Temple…she loved Aimee. dunno, but that’s the way it looks to me… dunno, tho, do i? She was still working as a teller in her late seventies…sharp as a tack and could cuss like few I’ve known. Would that be, “any bible commentary over seven minutes must include ‘Chuck says’…”? Can we not just say that Rick Warren stands in a long line in America that can stretch from Henry Ward Beecher to Sister Aimee Semple McPherson to Norman Vincent Peale to Robert Schuller. With all of these, there are probably theological issues that could be (and have been) addressed. Rick Warren, however, is slightly different because he stands a bit closer to some of us, in terms of theology, background, etc., and because of the explosion of media outlets. Corruption has been a part of government since the creation of government. Read about Hoovers FBI, for example. I doubt that this will change anyone’s opinion of Rick Warren, but . . .
A few years ago we had a visitor in our home, a college friend of my wife. She is a member of Warren’s church. She is not a close friend of Rick. She talked about how, when her husband was dying of cancer at a relatively young age, the Warrens showed up at her home several times to pray with them and offer encouragement. After her husband’s death, again the Warren’s came over several times with meals and love and help. While she was telling me this things, my thought was that she was describing what a shepherd is. She said that nobody knew of these visits other than the people she told. Say what you will. Yes, he is not perfect in theology, but who is? (Well, some on this board think they are). But I know of many pastors who would send one of their staff to help “invisible” church members. The woman’s life was profoundly touched, and she is devoted to Jesus. I’m glad he does that type of thing, still. I wonder how they split that up between staff members? No way he’s visiting 20,000 people, right? #56 Right, a church of any significant size would of necessity need to divide up the pastoral visits. But, for the woman mentioned, it meant a great deal to her, and it showed that he took part in visitations. I don’t know how he does it…but I know bunches of people over the last decade with similar stories. Having no idea what the “Calvary Chapel 7 minute rule” was, I googled it and came across a video that said that a calvary chapel pastor will make derogatory comments about another religion, person, or congregation every 7 minutes in his sermon. Assuming this is what you were referring to, this would seem much too great of a broad brush. However, I can speak to my singular experience and say that it’s probably not too far off from reality. David and Michael – That is good to hear. That certainly shows a Pastor’s heart. That’s a good story to hear. And that’s probably another reason why we may be more apt to defend Warren in comparison to others. We may have disagreements with Warren’s theology and especially some of his methodology, but the guy sure seems to have a lot of good character traits. Unlike some of the other Christian celebrities who may appear to be jerks or egomaniacs on top of having disagreement with their ways of doing things. There’s a story I really want to tell, but can’t because of confidentiality issues. I’ve known Warren to reach out in compassion to people who have nothing to benefit him in the least…just to show compassion. I’m a Calvinist…I don’t like how Warren does church or what he says in it. I do believe he is a man of God, though. No one probably knows this, but a couple of guys from Saddleback are on a 2 month drive around the western US in a motor home meeting with Pastors. They are part of the team that is setting things up for when Rick steps away from the pulpit. They are meeting with hundreds of pastors and staff members to talk about what God is doing in churches in 2016. By an odd chance, I got to meet with them for a couple hours of conversation a few weeks ago as they traveled through Idaho. Very fun conversation, even though I am not really a PDC kind of guy. A RW story from when I was serving at a church in central California. Rick was personally involved in helping set up a ministry at a camp for inmates in the central California foothills. He came out and spent time talking to some rough-edged guys. I had to give props for his willingness to be involved in a ministry that wasn’t about hype or glory, but about serving some guys who are off the radar of most people. Kevin – exactly my thoughts too – a bit over the top, but almost funny how most feel the need to belittle or put down others. I’ve been in churches with less than 150 members where the pastor will not visit his parishioner”s home. It seems as the the modern day pastor feels that their only responsibility is too study and teach. I know that I painted a broad brush, but that’s what I have experienced. Interesting…I didn’t know about that. 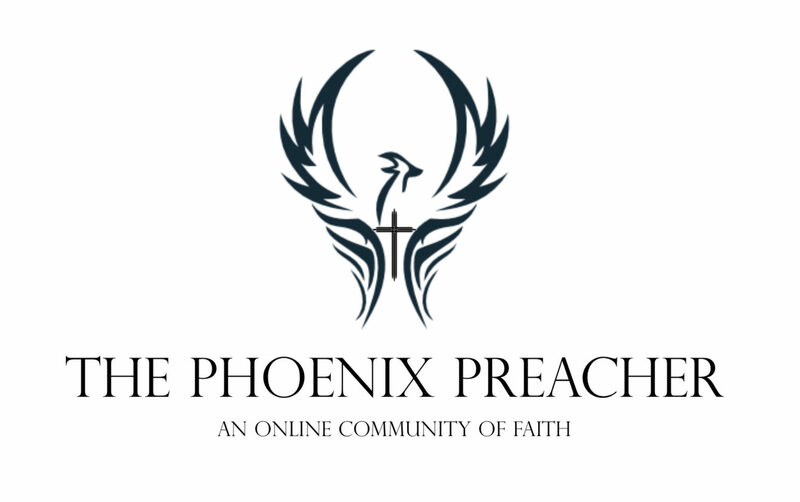 Piney – and here is the problem with Rick Warren and the whole PDC thing. God will do in 2016 in his church what he has done in his church from the beginning – saving sinners through the preaching of his word and the proper administration of his sacraments — nothing more and nothing less. You may not have listen to them close enough. What they were asking you guys was “what should WE do in the church in 2016 – because what God is doing isn’t working or not working fast enough – what is our purpose?”. It is the same thing as when RW began by asking the people in the neighborhood – what do you want in a church? It’s really an anti God game plan. RW’s intent may be good (to give a nod to Xenia’s previous comment) but wrong headed. I know this will probably go over about as well as a fart in a NASA spacesuit, but I think Piper’s a whack-job. He’s not on my list of favorites anymore,but he has done some good work. MLD, for the most part I don’t disagree with you re #69. The purpose driven model is a much more pragmatic, human-centered approach to church than I am even close to being involved with. But I have many friends who are more embracing of that style of ministry who love God and seek to share the gospel with others. I find God to be bigger than any denomination or particular approach to evangelism. I find God often working in spite of our human efforts and strategies. As I met with the guys on the PDC road trip, I felt utterly convinced that I was conversing with brothers, not the enemy. They want people to come to Jesus. And to the conversation with the chaps who I conversed with, both are brand new to Saddleback. They aren’t necessarily dyed in the wool PDC. In fact one of them told me hadn’t read the PDC book. What we spent our time talking about most was the power of the gospel and the Bible. Though I probably would pass on a lot of the ways they would approach ministry, I enjoyed their company. We have a church here in town that is very much PDC modeled…so different than my approach to ministry. Yet, of all the pastors in town, the pastor of this particular church is probably my closest local ministry friend. Yes, he approaches ministry with way more hype than I do, but I do not question his desire for people to be saved at all. I have no doubt all of the guys are great guys. I know for a fact Rick Warren is. As I have said several times, his grandaughter was in our church preschool for a couple of years and I would run into Rick on campus when he would pick her up. But the system is manipulative – why not just preach the law and the gospel? Jesus used to build up large groups of followers (they weren’t called Saddleback Sams back then) – thousands upon thousands, feeding them, healing them, doing all sorts of community good works, going to their parites etc – and they loved him. But then when he stopped and preached the law and the gospel to them, well, they all (except the 12) left him. I am afraid the PDC model does not get around to the proper preaching to them. About a year ago, a very gentle, sweet and loving pastor passed away at the tender age of 50 years old. His widow asked a good friend (CC Pastor), to officiate the memorial service. The problem was that my CC Pastor friend is an associate at a very small church and didn’t have the facility to accommodate the anticipated crowd (a couple of hundred), that may show up. So, it was a CC guy who died and a CC guy is going to officiate the service and there was no place to have it. My pastor friend (who was officiating) was contacted by RW’s secretary offering the use of Saddleback Church. While getting ready in the “green room”, Rick comes in and sits with my friend for several moments and gave him some bottled water, some words or encouragement and prayed for him before my friend spoke to the crowd of over 500. Like many of us who came from CC, my friend thought very little of RW. As of today, he would tell you that RW is kind, gentle, loving and very generous. Our theology may not be the same but RW behaves more like Jesus than many of us do. I really dislike all things PDL. I don’t agree with what little I know about RW’s theology. It’s the same for Eugene Peterson. When I read his autobiography however, I was humbled by his faith. I want to learn not to condemn these men because I don’t agree with their theology. Disliking someone or slandering them because their faith statement is different than mine is absurd. I pray that I learn to be as humble as either of these men. I have too big of a plank in my own eye and not enough fight left in me to throw either of these guys under the bus. I’m glad Duane mentioned Schuller up there in the comments. He wrote “Possibility Thinking” a year before Chuck even met Lonnie. And it looks like that was already his third book. He certainly had a huge following for years before Chuck surfaced. By the way, the McPherson “castle” is in Lake Elsinore and sold last year for a mere 675,000 (about half the original offering price). It is estimated to be worth twice that today, but as they say, something is only worth what someone else is willing to pay and when it comes to real estate – location, location, location. It was on the market for quite some time before someone paid the $675,000. Steve, I remember driving past that castle all the time when I lived in that area, just off highway 74. I also listened to the entire Piper/Warren video this afternoon as I dealt with paperwork. I couldn’t help think that it reminded me of an ordination interview. Almost a two hour conversation with John peppering Rick with a host of theological questions. And in the end, Piper conferred Warren the ordination. I do appreciate the testimonies to Warren’s pastorly leanings. That is a forgotten calling among modern pastors. The internet has been bad for Piper when he was just a pastor and an author, he was solid and well-respected. Since you see all his little thoughts on social media, you realize he’s kind of a doofus. Yeah Xenia, got the Chuck Smith jab in. Chuck was a young man when he attended Amiee’s church and he graduated from Her life Bible college, so indeed he was influenced by her model of doing church. Interesting enough Kathryn Kulhman was there at the same time and knew Chuck. Precisely because of Amiee’s theatrics Chuck had determined to go in the opposite direction and be as unemotional as possible. Thus his just standing at his podium and not moving around like Aimee did. Chuck always strived to be as “normal” in the public eye as humanly possible. Of course there are those who know him as another man having dealt with him in business and behind the scenes as some here have stated. But over all, there are thousands and thousands who know their scriptures because of Chucks life long efforts to teach the Bible. Above some one mentioned how wonderful the Warren family was to a couple. Most don’t know that Chuck once paid for a woman’s medical bills, or that he gave 100% of his pay check to the church every pay period. Or that he comforted a mother and swept up the mess that her son had made in his bedroom when the son blew out his brains with a gun. There is another story of him visiting a woman at Hoag hospital. She told the Lord that she needed her pastor, telling no one this but the Lord. Some how Chuck just showed up and made her day! Chuck and his entire family were always accessible. Chuck would stand out in front of the Church and speak with every person who wanted to speak with him. He really did have a good side to him Al. That is a memory I have since I was but a lad. Celebritizing and over-emphasizing the Lead Pastor and especially Chuck Smith as the Guru and near Deity…and then the terrible example Chuck Smith set in the lack of Accountability for HIS PASTORS who he LIED on air and said, “I am not those guys pastors” referring to the Calvary Chapel Pastors waving his Dove and preaching and propagating his Brand. Chuck Smith was not “specially anointed by God!” no more than Benny Hinn or any other self-promoter that can put butts in seats. Chuck Smith was an Adulterer, a Liar…he was also a good father and had a lot of good qualities. Chuck Smith was very much human like the rest of us. He was not “qualified” to be a Pastor IF you “Simply teach the bible simply!” which assumes you follow it simply as well…which is Calvary Chapel’s mantra. Chuck Smith then co-opted the charisma of Lonnie Frisbee after Kay Smith was so enamored by Lonnie and had a heart for the dirty drugged out Hippies (of which there is your Old Guard CC Pastors, a bunch of burnouts who got told they were “specially anointed by God!” and found a better gig than drugs). Chuck Smith came in, likely under good-hearted circumstances and wanting to help these young drugged out idiots….and he cleaned them up, took them off the beaches and out of the Tents and Hippie Homes and Communes and put them into a Baptist-light Church setting only with heavy Charismatic overtones…which the Hippies loved. Then Chuck Smith had “Success!” b/c so many were now following him and worshipping at his feet. Chuck Smith love the attention, I saw it with my own eyes as he was practically accosted like he was a Beattle or Elvis when he came into the Logos Building for our “meeting”. It was actually disgusting to witness. I was like “You gotta be kidding me.” No wonder Chuck was so prideful, you idiots are partly responsible. I agree with Michael now that the blame is equally on the “followers” and Enablers who put that guy on a pedestal and I blame the 1500 “Pastors” who Chuck Smith said he was NOT the Pastor of….for worshipping him and for participating in that Idolatry. Future generations will know the Truth about Chuck Smith and Calvary Chapel and will have a different opinion than “Specially Anointed by GOD!” Nope. Just a bunch of typical human men doing what human men and fools do….and then clinging to the “Glory Days!” which are themselves a mythology and not truthful. Any beef I have with Rick Warren would be this: Don’t Idolize the jerk. He’s a man. At least Rick Warren reverse tithes and gives back 90% of his books sales…though he is STILL a multi-millionaire from Selling Jesus as his only Product so I say give all the money from the Book sales to help people for Jesus. Why do you need to have Millions of dollars when it was gained only from selling the Gospel and Jesus? Unless Rick Warren counts his book as “Not Jesus” but some self-help book, then fine. Then call it that and state that it’s not about Jesus. As far as the Purpose Driven stuff….I read it…it is Tony Robbins sprinkled with Jesus. I don’t think the Purpose Driven stuff is evil. No more than the Fundamentalist Christians who support stupid “Christian” movies like “Left Behind!” are evil. It’s a difference of opinion. It may be stupid or illogical or not in line with our opinion….but c’mon if you dive into the Fundamentalist Evangelical Circus….there are way whackier things than Purpose Driven. It will NEVER be Moral or OK for you to be a Multi-Millionaire from selling Jesus and the Gospel to people….while you have struggling Single Moms in your “Church flock” who can barely make ends meet. You are fooling many, you are not fooling me. I’ve only read the Chuck Smith was an adulterer from one other person. So I’ll be the one to ask where your proof is . I don’t want to get into it here…but that will be in my book as well. It is not just a nasty rumor, it is fact. What’s important is the impact it still has today…but that will be best served later and not on the blog. When will that book be released? I’m still working on it and then it has to go through the publishing process that could take a year. I can’t wait for Michael’s book. It will be the most truthful historical document about Calvary Chapel there is (when it is published). It is what God put Michael here for (along with helping me and others, including Trey and his local congregants and you on this blog), I am convinced. You can feel the Chuck Worship balloon deflating above with the disclosure of what is true. It is healthy. Too many have that man on a pedestal to this day. It makes me sick. Michael, if PA continues to bring it up people are going to want to know where the proof is. I think that’s only natural. Do you think if there’s proof out there someone else won’t release it before your book comes out? You realize some are going to accuse you of keeping quiet so your book will sell more? I’m at the stage of life when I don’t really give a damn what other people do…I have all I can handle just doing what I need to do. People are going to say all kinds of awful things about me…just like they have for the last fifteen years. The point of my book is to equip people to see and understand the realities of evangelicalism…and then able to make informed spiritual choices. It’s not just about Chuck…that in itself has little value. Michael, I just read most of an eye opening book on the genesis of the Jesus movement. It looked at the big picture and there was tons going on before things broke at CCCM. I’m glad you seem to be taking the same type approach. Meanwhile life goes on for each of us. God bless. AI, is your source strong that CS was an adulterer? Surely the OC Weekly would have dropped the story as they hate CC as much as anyone. My understanding is that CS would not even get into and elevator alone with another woman. This is not the time or place for this discussion. I don’t know about Alex’s sources,but mine are impeccable…this is pretty much common knowledge among the old guard. There will be a day to discuss this matter…this is not it. It’ll come out in a more formal way. I’ll let that process play out. I’ve got several sources and I’m sure Michael does as well. He’ll be the one to officially publish it and should be the one b/c he is the man who has most reported on Calvary Chapel and will do a better job than me at telling the story in a more official format/medium. I greatly look forward to it and will promote that book for the rest of my life. Yup, and even guys my age who left their wives for the church secretary. They figure if it was OK for Chuck, it’s OK for them. I take my shots at evangelicals and once in a while at CC (and I can do it with the best of them) – but what purpose does the “Chuck was an adulterer” serve? Isn’t just dancing on his grave enough? To Pop the Idolatrous Bubble and to knock Chuck off the Pedestal that so many put him on in an unhealthy manner. It’s the Truth. It’s a MAJOR part of the Story that even guys like Dave Rolph and probably even Steve Wright know, but keep hidden from the Public…yet a guy like Steve Wright has no problem criticizing those outside his Calvary Chapel “Affiliation” and does so a lot on here. MLD, and so you know, I confronted the man to his face about it, b/c that is how I roll. That’s partly why he hated me so much and then called my blog “All lies!” b/c it pissed the prideful old man off. One of us died a year to the day after his curse from his mega-church pulpit. The other is still chirping. Or is it “yapping”? Well without Polaroid pictures and testimony from the woman – it sounds like gossip to me. BUT… more than that, it seems to be for revenge only. But in today’s age people don’t care about gossip and revenge and I guess there is no stopping it. (I am not saying that is what Michael is doing – but what Alex wants Michael to do) Also, like Chuck I would be pissed off if you asked me that to my face. Then the Gospels are “gossip” where’s your evidence? Nope, not revenge at all, just the whole story. God told the whole story about King David, didn’t hide his sin…yet you want to call telling the truth about Chuck Smith as something unrighteous? MLD, Martin Luther told the truth about the Pope, nailed 95 Theses to the door at Wittenberg….”revenge”? Or telling the truth and calling b.s.? It’s extremely relevant to Chuck Smith and Calvary Chapel and their Legacy. A man who wagged his finger so much at the sinners outside his walls….a Non-Denomination that publicly and politically goes after the Gays and Gay Marriage in California etc. …hiding the fact their Guru is an Adulterer. “Your sin will find you out.” <—Isn't that a bible verse from the "inerrant, infallible, perfect WORD of God!" yep – not for content but for motive. 99% of the people in this country have no idea who Chuck Smith is and even less care – so your motive is your purpose. If it is so obvious and it is the Truth as you say — lay it out here and now. Why would you wait if it is true and you have the evidence? Come on – for once be truthful yourself – you got Nada. Ah, you’re playing God and judging my heart. I’m doing it for the right motive, the truth is important and Chuck Smith should not be put on a pedestal and made an Idol. He was a sinner, not “specially anointed”. The Calvary Chapel version of the Gospel relies heavily on the “Transformational Gospel” stuff and a Chuck Smith cannot have been “specially anointed” and an Adulterer….in Calvary Chapel’s own Construct. In case Erunner doesn’t answer, the book is God’s Forever Family. A great read. I’m not at home. For this very reason I said this was not the time or place . This is done now. BD, drifted off to sleep but Bob answered correctly. The citations were a book in and of themselves. Found it to be a great read. 1 Kings 18:28 8 And they cried aloud and wcut themselves after their custom with swords and lances, until the blood gushed out upon them. 29 And as midday passed, they raved on until the time of xthe offering of the oblation, but there was no voice. No one answered; no one paid attention. God doesn’t really deal with idolatry the same way as the OT times, thankfully for all of us LOL. But, I believe God deals with idolatry today, just in a different manner and as he chooses and when he chooses. It is what it is. So deal with the idolators … not the one they idolize … especially when he is dead. So, turn your attention towards them. MLD, sometimes the Idol has to be shown to be impotent and carved out of stone. Sometimes destroying the Mythology is the best way to really help folks. I hear time and again from former Chuck Cult Followers: “Wow, I am so thankful to know the truth and to be out of that cult”. That is words I’ve heard more than a few times in person. People thanking me for doing what I’ve done b/c it helped them see the lies and fraud and mistake in giving over so much to the Chuck Cult in the form of Calvary Chapels they gave their lives to for many years. I have heard the words with my own ears. Words like “I don’t drink the Kool-Aid anymore” etc. There is a cult-like dynamic in many of the Franchises under the Calvary Chapel Tent…but less and less b/c of the work of men like Michael…work that steadily, like erosion, keeps chipping away at the Mythology and False Idolatry. Things in CC are a lot different today than 10 years ago. In another 10 years the Old Guard will die off. I have hope for the future of CC as it disbands, and as new blood gets in there and as the New Guard continues to challenge the False Idolatry and Bad Ways of the Old Guard. In 10 Years, Calvary Chapel will no longer be the Chuck Cult. There will no longer be that over-emphasis on that man, maybe a few stragglers, but nothing like it was before. That is good. Dread, very true. I have a lot of Atheist and Agnostic friends. The Clergy or Pastorate is the Church’s own worst enemy oftentimes in terms of testifying against Jesus and the Gospel. The Trend is showing a major Decline in Evangelicalism and Christianity. There’s a reason for that and it ain’t the “devil!”…well it is…but it’s the devil inside…inside the Pastors and Churches…the sin nature and Pride etc. Atheists and Agnostics are largely as moral and sometimes more than many under the Christian Tent. Their morality may look a bit different…they may drink some or be OK with Gay Marriage…but they exceed most Christians in terms of “Love your neighbor” and having a heart to help the Orphan and Widow and for no ulterior motive like earning a Get-Out-of-Hell-Free Card like the Works’ Righteousness Catholics or similar Evangelcal Sects/Constructs that do “good works” to prove their Salvation. What the Atheists and Agnostics DO see is the many examples of a fat, proud, finger-waving Pastorate that excels at wagging its finger at the “heathen” outside their Church Kingdom Walls….and then is Greedy, Lying, Adulterous, Gluttonous, Unjust, Prideful, Hypocritical and spends the vast majority of the money they collect “For Jesus” to fund themselves and their “Ministry”….while helping very few Orphans and Widows and “Least of these” in a real tangible way. We’re all sinners. All of us. Atheists and Preachers included. It IS a heart issue. An honesty issue. A Pride issue. I get tired of the lying and faking of “Church”. If you’re going to preach a particular line, then tow it. If you really want to reach people that aren’t already churched up, then don’t beat them over the head with the bible, love them…but if somehow God saves them despite you, once they’re in, don’t turn them into Idol Worshipping “donors” supporting a Cult-of-Personality “Ministry”…that’s not what this is all about, or rather not what it should be about. I took over a church that held it’s previous pastor (who wasn’t a bad guy per se, but not perfect either) in such high regard, they proceeded to chew up and spit our the next two pastors who came along and tried to fill his shoes. This man retired in 1999, yet for a decade the many in the church couldn’t bring themselves to look forward, instead they had their eyes fixed firmly on the “glory days” of the past. When I got here they tried to do the same thing to me. It’s a weird psychological condition of trying to communicate our devotion to someone by tearing apart someone else. But it happens. Funny, based on the topic of this thread, but one thing that kept me going was a Rick Warren quote about not fighting your critics, but just outlasting them. Now, some 17 years later after the beloved pastor’s departure, we have a congregation that, for the most part doesn’t know who pastored the church almost two decades ago. It certainly has shrunk our numbers and weakened us, but I believe we are finally laying a forward-focused foundation. Chuck Smith is simply a microcosm of the Evangelical Church and Christianity in America. Christianity as an Institution is declining. Good. It shouldn’t be an Institution. Ecclessia is not an Institution. Never was, never will be. I take comfort in knowing that it is what it is. God’s plan continues to unfold. Nothing i do or say will change that…yet i do and say what I am compelled to do and say…as you do. Except for the tiny detail, lost on many, that it was Jesus himself who instituted the Church. If it weren’t for that. you would be right. In my experience, the Chuck Smith Cult has excelled at exposing the Sin of those who criticize them or their Competition outside their Walls or the “heathen” “enemies” etc. IT’s not like they don’t expose sin, they just don’t expose THEIR own sin. God calls what I describe above “Injustice” and not having Just Scales. And God says he “Hates” Unjust Scales, they are an abomination to him. MLD, you are misusing words. Jesus built a building, started a denomination, created the office of Pope etc? Al, all of your error about church comes from being brought up in the Chuck Smith cult – so I don’t blame you for not understanding what Jesus started. Jesus instituted the church, the office of the ministry, which includes the office of the keys and the responsibility of discipline. He also instituted the sacraments and a ministry of formal teaching. It’s not pixie dust Christianity that you now perform. “perform” interesting choice of words and exactly the problem I have with your Sect…only “perform” in a different context than the Entertainment use of the word like the Steven Furtick’s or Ed Young’s or Joel Osteen’s or Benny Hinn types of “perform”…”perform” as in ritualistic “perform” aka works righteousness perform that you would then re-interpret as “receiving the means of grace” from your Lutheran Synergistic lens. I don’t “perform” Christianity in either the entertainment context or ritualistic context. my use of ‘perform’ is that you want to make up a new something that has no basis in history.Hence, you sprinkle pixie dust on you ideas and think that makes them real. In fact, removing the historical church and saying that it has nothing to do with what Jesus instituted is no different that what you accuse Osteen, Furtick and the others. Your view of what church should be is in that same fantasy category as theirs. I try to “love your neighbor” and “love God” and I “hope” in Jesus as Messiah and fully admit I am a sinner. If the biblical narrative is true, then that’s about all there is left after you toss out all the heavily disputed non-essentials. What must I do to be saved? How do you know for sure you are saved? I will leave it at this – you idolize Chuck Smith as do his followers. Anything that can control a person’s life, thoughts and actions as Chuck Smith does yours is an idol. You need to repent of such idol worship. Also, there is admonitions against idolizing the dead. Leave the man alone. People need to quit referring to CC as a cult. It’s a viewpoint and not a fact. Believe me I’m not on the CC bandwagon but really, enough is enough. Actually, I rarely think about Chuck as a percentage of the amount of information my mind consumes on a daily basis. The Diocese of Orange owned a plot of vacant land in Santa Ana, on MacArthur Blvd a half mile east of CCCM, comparable in size to the CCCM property, where they had planned to build a cathedral for Orange County. But due to law suit settlements over abuse allegations, the diocese couldn’t afford to build it. When the Crystal Cathedral became available, they saw that as an answer to their prayers and converted that facility to their cathedral instead. Before this happened, they started a new church at the site called Christ Our Savior Cathedral Parish. According to their website, after purchasing Crystal Cathedral, the new church was recommissioned as a “regular” parish and renamed Christ Our Savior Catholic Parish. That church is currently meeting in modular prefab buildings at one end of the property, and the rest of the land contains a sparse stations of the cross circuit built on the bare dirt. E, many describe CC that way, in fact a lot of former CC pastors and members and former CC church staff etc. It is not unlike Calvary Chapel referring to other Sects it disagrees with as “cults” or “semi-cults”. Unfortunately, in some of the Calvary Chapel Franchises….it’s hard to describe what I’ve seen and heard through testimony as other-than cult-like. John S, Steve Wright often speaks out of his arse. It’s kind of his thing. Thanks for correcting the record….and if you hang out here, get used to that sort of thing with Steve. He does know the insurance biz pretty well though. Al, cults would be folks like Mormons, J.W.’s, Scientology, etc. They all lower Jesus from His rightful position as God the Son, second person of the trinity. I agree that there are probably cult like situations in CC but it’s not due to the misidentification of who Jesus is. It’s more of a personality thing in holding people up where they don’t belong. Em, I’m open for open discussions that don’t treat Evangelicals as almost foreign to the body of Christ. Broad brushing doesn’t do much to having these conversations though. I agree with Em that such discussions, if done in a spirit of love and in the pursuit of truth, can be helpful for progress and understanding. But if the flesh is ruling rather than the Spirit, than all the slander and broad brushing will only render injury and disunity. Truth can stand up to scrutiny. Any anything that isn’t truth does us no good to hang onto. My favorite times at the PP are when this blog serves as safe place to explore our differences, process issues and remind ourselves of the simplicity of the Gospel. I tried to make it clear I wasn’t trying to insult Steve W, just remarking that it was a financial setback, not a surplus, that precipitated the cathedral purchase. Since Steve isn’t in the local area, he did not know the story. While Christ Cathedral is being transformed into a Catholic place of worship, Mass will be held in the Arboretum. Thanks, Em, for the interesting question. As long as people can endure the occasional sharp elbow or having their toes stepped on, then tally ho. Or something like that. All I can say about Christ Cathedral is that there is much more Christian preaching / teaching / thought and prayerful meditation going on now than with the previous occupants. I’m betting they’ll do away with reserving the entire front section to high donor families who buy their own pews!! I use the term “Chuck Cult” to denote a cult-of-personality. I find the Idolatry “cult-like” an unhealthy, but that is just my opinion (which happens to be shared by many others). I think when you place that much importance on a man, an importance that is taught and sold and perpetuated under Chuck’s Doctrine of “Special Anointing” then you are in dangerous waters. The bad fruit bears this out. Piney said, “I agree with Em that such discussions, if done in a spirit of love and in the pursuit of truth, can be helpful for progress and understanding. Truth can stand up to scrutiny. Truth is not “slander”. Broad-brushing is common and necessary when addressing a Group and “Movement” or Non-Denomination that claims a Unity and Bond and Likeness when it serves them. Paul the Apostle, who you believe wrote inspired perfect Scripture…aka “God’s word”….broad-brushed. I always find it ironic when bible-believers strain gnats and swallow camels and we have a biblical example of exactly what you are gnat-straining, and you would assert Paul’s words were “inspired Scripture” correct? I am all for Unity and not Division. I think we should all be unified in telling the Truth and in being Intellectually Honest when dealing with these issues. Piney, is “Cretins are ALWAYS….” a broad-brush? Was it sin of Paul the Apostle to agree with the prophet he quoted? Was it being “divisive”? It’s called a rhetorical device and it is not sinful. John S, I appreciate the backstory but “that purchase” still cost 57 million dollars. Whether they had more expensive plans for property elsewhere that could not materialize does not alter that fact. The fact that the Catholic Church can be described as both in financial difficulty while also coming up with that sort of scratch is a problem most churches would like to have. I was just putting their wealth alongside the optics of Schuller, as I’m sure most reading know they only put the property on the market because the bankruptcy court required its sale. I don’t think my comment erred from that simple truth, but like I said, the backstory you provided is interesting.